Petronas Gas Bhd (Petronas Gas) saw a boost in its earnings driven by the recognition of deferred tax assets arising from an investment tax allowance granted for its liquefied natural gas (LNG) regasification terminal in Melaka. In addition, the company is expected to be the biggest beneficiary of rising gas demand as the additional gas volume will pass through its Peninsular Gas Utilisation (PGU) pipeline. Analyst June Ng from HwangDBS Vickers Research Sdn Bhd (HwangDBS Research) said that the earnings boost from Melaka regasification plant was driven by higher gas transportation revenue and contribution. Ng added that second quarter 2013 (2Q13) net profit was boosted by RM592 million tax allowance granted to its LNG regasification terminal. Excluding the tax allowance, nine month core earnings of RM1.1 billion for 2013 was within the research firm and market’s expectations. “Gas production growth in Malaysia has lagged demand growth due to low subsidised gas prices at just one third of market rates. We expect a gradual increase in subsidised gas price under the ongoing move towards fiscal consolidation. Higher gas prices would encourage higher capital expenditure by Petronas and LNG imports. “Petronas Gas will be the biggest beneficiary of rising gas demand as the additional gas volume will pass through its PGU pipeline. The outlook for Petronas Gas is promising with Petronas’ plan to invest RM15 billion to find new gas to meet rising demand in Peninsular Malaysia. It is also poised to secure overseas ventures given its strong balance sheet,” Ng explained. 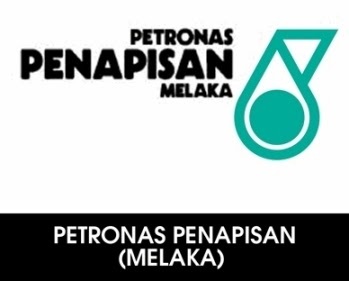 The research division of MIDF Amanah Investment Bank Bhd (MIDF Research), however, noted that Petronas Gas’ normalised 9M13 earnings of RM1,175.1 million barely kept pace with estimates and represented a moderate growth of 5.9 per cent year-on-year (y-o-y). According to MIDF Research, 9M13 revenue slumped marginally 0.3 per cent y-o-y to RM1,135.6 million as performance-based structure income were lower from decreased butane and ethane productions. Higher income from propane helped offset the decline in the former. However, operating profit climbed 5.8 per cent y-o-y resulting from accounting treatments – lower depreciation expense of property, plant & equipment (PPE) from reclassification of components and useful lives. Operating margins expanded three percentage points to 53.4 per cent. “Segment revenue for 9M13 increased by RM47.9 million to RM885.6 million. This was caused by higher capacity booked by customers. In-line with the increase in revenue, segment operating profit grew 7.9 per cent y-o-y, supported by margin expansion of 1.5 percentage points to 78.6 per cent,” noted the research house. Nevertheless, it expects Petronas Gas’ we are regasification segment to contribute around RM135 million and RM150 million to FY14 and FY15’s bottomline. It increased its FY14 forecast earnings of the company, upwards by 12.1 per cent, assuming better ontributions from the LNG regasification segment. HwangDBS Research retained a positive view on Petronas Gas and said, “We like Petronas Gas for its resilient earnings with no fuel risk, strong parental support, solid balance sheet, and promising growth prospects supported by Petronas’ larger O&G capital expenditure.